Slackware turned 24 today, 17 July. I have uploaded the July ’17 set of Plasma 5 packages for Slackware 14.2 and -current to the ‘ktown’ repository. 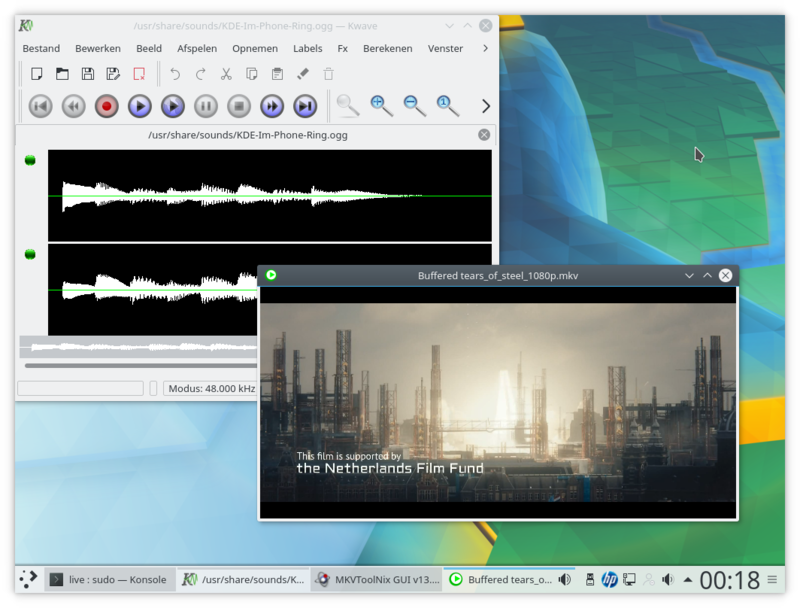 KDE 5_17.07 contains: KDE Frameworks 5.36.0, Plasma 5.10.3 and Applications 17.04.3. All based on Qt 5.9.0 for Slackware-current and Qt 5.7.1 for Slackware 14.2. NOTE: I will no longer be releasing Plasma 5 packages for 32bit Slackware 14.2. Apart from the usual upgrades to the Frameworks, Plasma and Applications subsets, there is only one interesting piece of news: I added ‘kile’ to the applications-extra directory. Kile is a LaTex editor and the port to the KDE Frameworks 5 is well underway. I based the package on a git snapshot of its repository. One more KF5 application in “applications-extra”. The goal of the KDE community is that the Applications 17.12 release (i.e. end of this year) will not have any application that is still kdelibs4 based. Everything in Plasma 5 Desktop should then finally be based on KF5. As always, the accompanying README file contains full installation & upgrade instructions. Package download locations are listed below (you will find the sources in ./source/5/ and packages in /current/5/ and /14.2/5/ subdirectories). 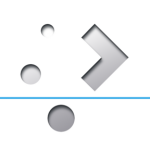 If you are interested in the development of KDE 5 for Slackware, you can peek at my git repository too. http://bear.alienbase.nl/mirrors/alien-kde/ (my own mirror), rsync URI is rsync://bear.alienbase.nl/mirrors/alien-kde/. http://ftp.lip6.fr/pub/linux/distributions/slackware/people/alien-kde/ French fast mirror thanks to Tonus. A package is available for the latest MKVToolnix 13.0.0 – Slackware 14.2 and -current. I built the latest Calibre 3.4.0 for Slackware 14.2 and -current, adding several internal modules which I omitted in my first Calibre 3 release. As a consequence, Calibre now also depends on unrar for which I also compiled the latest release (5.5.6) into a Slackware package. Podofo is another dependency for Calibre that received a long overdue update, and my repository now contains version 0.9.5. And I am also preparing Live ISO images for the variants SLACKWARE (64bit and 32bit), XFCE (64bit and 32bit) and MATE. They should go online at the same time as the PLASMA5 ISO. Posted: 18 July, 2017 in Science, Slackware. Well, I decided to take another look at KDE-5 and just installed all your latest related packages. That thing is huge. Any idea how many files and how many megs they take up (storage) as compared to KDE-4?. 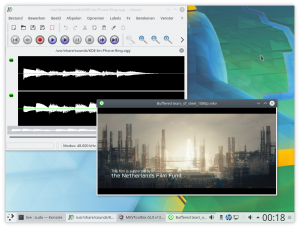 KDE-5 works, but it has somehow managed to completely screw up sound in Xfce. I’ve re-installed pulseaudio plugin for Xfce, but it didn’t make any difference. The multimedia keys no longer work. To adjust the volume I have to left click on one of two, now, only one before, icons in the panel and manually move the volume bar left or right. Any thoughts? Thank you Eric!! So far it’s working OK.
P.S. Thanks for Kile. Just today I tried, with no success, to build it. There is also a new version of texmaker (5.0) and texstudio is updated frequently. The one I use now is texstudio, and I will try this new kile. But I think that the 3 are almost the same. Thanks, working mostly good, though I still have had a number of plasmashell crashing and restarting since the switch to 5.9, this update seems to have fixed the more severe problem were plasmashell would crash but not restartable. I was wondering if we could get qt 5.9.1, if I was to compile this myself, would I need to rebuild all of kde? Today’s ChangeLog (actually dated yesterday, 18 July 2017, just before midnight) included a version bump of exiv2, to 0.26. That update breaks gwenview. I managed to bump exiv2 back down to 0.25. Anyone else using packages dependent on exiv2 might want to keep this in mind, at least until those packages are updated. If you have rc.pulse actived, stop it. make it not executable, it’s no needed. Thanks Eric for the updates!! By the way, I found that in your iso2usb.sh script I had to put quotes around the SLISO variable before it would work for me. Maybe because my directories have spaces in their names? Not sure. Thanks again! And won’t advance no more 🤔. I will add those quotes to the script. Matheus – an issue with your USB key perhaps? Is it corrupt or broken? Extracting Slackware from the live modules takes longer than installing packages through the regular setup process but you should see progress at some point. Some module files are quite large which means, extracting them may take quite some time. You can determine whether files are still being extracted to the USB key by opening another terminal and repeatedly running the ‘df’ command. If anything gets written to the USB stick, it should show up as changing numbers in the “Used” column. I’m on 64–current ( last packages) with your multilib and (last) kde. Symlinking to actual exiv2 doesn’t help; gwenviev strats but crashes at the first mouse click; digikam doesnt start at all. 2) Il i have an open firefox session, very often i cannot run another browser ( palemoon, vivaldi, another FF session…) and sometimes no other program can run; if i try to run a onsole, the message on it says something like “cannot open IO” and something other regarding xdg. I’m obliged to kill kde, delete all its temporary files ( also those in /etm/xdg-runtime-user and restart kde for workaround the problem. While problem 1) is only running on your last release of kde, i’ve problem 2) from several releases ( trying to cure it but no success). Anyone here has gwen and digikam prob? Thanks ( *many* thanks) for you work…. Hubert, your issue #2 sounds quite peculiar, have not heard of such an issue before. Your issue #1 is caused by the volatile state of slackware-current. The exiv2 package got upgraded and that broke a couple of applications as you noticed. You must recompile gwenview and digikam. I just started work again after a short holiday and will not be able to offfer recompiled packages myself soon. But since you are running Slackware-current you probably know how to recompile them. 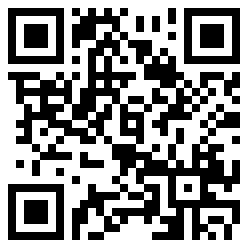 If not, search this blog for the instructions about the use of KDE.SlackBuild. Plasma 5 looks rather splendid and works reasonably smoothly on a dual-core laptop with 2Gb of ram and a spinning rust hard drive. Installed on my test laptop from Plasma live iso and updated using slackpkg, including the exiv2 version, and then updated kde5 packages downloaded from bear just now. All good – gwenview and okular work fine. DigiKam starts up OK (I don’t know DigiKam very well). I noticed that /etc/slackpkg/mirrors has a mirror right at the end of the file already uncommented. I chose one nearer to me in preference to cut the load on Slackware’s site. Thanks for your efforts in allowing us to preview Plasma 5 on a familiar base. When plasma 5 came out i moved out to XFC5. now months later, i’m very pleased with it. As an android user i was delighted with kde connect. except some plasmashell crashes (it will restart), and ktorrent crashing when i try to activate the scheduler plugin, all the rest running smoothly and fast. So, thank you very much sir for your work. Plasma (fallback) is the ‘default’ and works fine. I tried Plasma (wayland) and had a blank screen – no blinking cursor – for many minutes. I could alt-ctrl F2 back to a tty, log in and reboot. Anyone got any hints as to where do I look for logs to work out what is happening (or rather not happening)? lspci tells me that his old Thinkpad has an “Intel Corporation Mobile 4 Series Chipset Integrated Graphics Controller (rev 07)” in it. Has worked with a Fedora live 26 with Wayland. The Wayland session does not work. It requires packages that are not in Slackware and needs a recompiled mesa, xorg-server and qt5. It will go into testing sometime but don’t hold your breath. It is low on my priority list. Thanks for clarification and I fully understand the need for a priority list. Because of the recent update of Slackware-current’s imagemagick, I have rebuilt dvdauthor and digikam and uploaded them to the “current/latest” repository. I’ve been running your KDE 5 packages for a few months now on two machines, and it is all working fine. However, I do have a question about the phonon backends. Although I’ve installed your packages for VLC (2.2.6) and phonon-vlc (0.9.1) the backend does not show up in my system settings – only gstreamer appears there. Both systems were upgraded from kde4, so I wonder if there is a stray configuration left over somewhere that might be stopping it from picking up phonon-vlc – or is there something else I’ve missed? Any pointers gratefully received! No problem here with phonon-vlc, maybe you have the old phonon slackware current package installed. Well, just to be sure, I completely deleted the phonon-vlc package and installed the one from kde5/5/deps. No change – still only gstreamer showing up in system settings. Pete, I double-checked on my slackware64-current laptop. I have phonon-vlc 0.9.1 and vlc 2.2.6 and I do have “Phonon VLC” as my (primary) backend. The “libphonon4qt5.so.4” library is part of my phonon package but it is not in Slackware’s original phonon package (because Slackware does not have Qt5). Locate seems to be saying its there, ldd is saying it isn’t? Missing symlink? The backend folder certainly has phonon_gstreamer in it, but not phonon_vlc. Should I just copy it across or symlink it? indicates that the correct package is installed! There is no /usr/lib/qt5 directory at all. I’ll delete it and try again! I’m a bit baffled, but thanks for your help! OK, I think I might be getting somewhere now, but its still not quite fixed yet! I deleted the existing phonon-vlc package and re-installed it. This time I installed it using installpkg, rather than my usual upgradepkg –install-new. It installed fine, and now phonon-vlc appears in /usr/lib64/kde4/plugins/phonon_backend, alongside the gstreamer plugin. Its definitely there, and the permissions are the same as phonon-gstreamer. But note: its in the /usr/lib64/kde4/plugins/phonon_backend directory NOT /usr/lib64/qt5/plugins/phonon4qt5_backend which is where ldd is looking for it! but it still doesn’t appear in system settings! I’m about to try a reboot – fingers crossed…..! I must be getting tired and my eyes are watering! Its gone 2300 here now and I’m starting to make silly mistakes! I should be looking for libphonon4qt5 not libphonon! Yippee! Finally cracked it! And naturally, it was my fault! Let me explain: I have 3 machjnes here running Slackware64-current – a small laptop (kde4), my main desktop (kde5) and an old desktop in the workshop (kde5). To save on download times, trying to keep them all up-to-date, I have a small NAS server which I rsync against slackware.uk. I then do my updates from the local server. At some point, I omitted to switch the kde5 update script from 14.2 to current, so my local server contained the 14.2 version rather than current! Looking at it this morning, after a good night’s sleep, I spotted it straight away! All is now working as it should. Moral: don’t set up updates when you are tired! Something to keep in mind when working on the next update. Unfortunately, many colleagues are on holiday in August, and many at ASML take 4 weeks leave, leaving suckers like me behind with much increased workload. So I may not be able to release ktown updates for Slackware 14.2 in August. The -current packages are more important because more may become broken before long. … or recompile kscreenlocker perhaps. Cooper, looks like the mirror script had gotten stuck because the rsync server (ftp.osuosl.org) was not responding. I’ve killed the hung process, removed the .pid file and restarted the cron script. Ok, osuosl is very slow for a few days here. Thanks Eric. I really don’t want to distro hop, and Slackware and you pkgs came highly recommended. As soon as I get a chance I’ll throw Slack64 and your Plasma pkgs on a spare laptop. Apparently the developer decided to “go the GNOME way” and hide functionality in the UI for which HE thinks it should not be used by a regular user. Totally against KDE philosophy if you ask me. The workaround mentioned in the bug report is to use the commandline tool “nmtui” to manage your VLANs. Too sad KDE it’s taken the “Gnome way”. On the other hand, I tried openSUSE42.3 and they still provide that functionality, don’t know if KDE put it back or openSUSE aplied some patch. Hello, wondering if for the next release you could build Kwave with “-DWITH_MP3=ON” in order to enable mp3 support, if i’m not mistaken mp3 is not an issue anymore. If this message doesn’t make sense, please ignore, i don’t know what i’m talking about. I checked the log file of the last compilation for kwave and also checked the CMakeFile in its git repository. Indeed, I will have to add “-DWITH_MP3=ON” because that is required to enable mp3 support. Eric, i have rebuild qt5-5.9.1, with your SlackBuild, because it’s needed for the new mariadb package in current. I am unable to work on Slackware at the moment so I am glad you are documenting here what the other people need to do in order to fix any broken applications due to slackware-current upgrades. I hope to have time again next week. Gérard you’re welcome. I am glad with your feedback. You are mostly ahead of me with testing and rebuilding. I am running Current installed from your Liveslak using setup2hd, etc. I am curious about the Plasma Wayland entry in the SDDM selection box. I don’t get anything but a black screen. Is this just an artifact of Plasma’s Wayland support and not functional in Current? There is no rush, I am merely curious. Wayland support is not functional in Plasma5 because Slackware’s mesa (and xorg-server) are not compiled with support for it and therefore Qt5 won’t pick up proper support either. Thanks for both of the answers. Gérard , I have no idea to what post you are referring. You mention many updates on that “page 184”. and i have build all kde5 updates, without major problem.